In life, hating someone diminishes you ; dancing on their grave demeans you. Yet I certainly don’t mourn Margaret Thatcher’s death , as my home town of Glasgow still bears the scars of her policies. Her monetarist dogma smashed the post-war consensus on full employment as a principal aim of government economic policy. So pre-existing problems of decline in Glasgow’s manufacturing base , caused by under-investment, were taken to a swift and perverse conclusion : “de-industrialisation” Thus, the year after Thatcher took office, 40,000 jobs were lost in Glasgow alone. The destruction of many of Glasgow’s industrial communities was accompanied by the demoralisation of many of its neighbourhood communities in the name of her utterly personal and utterly alien philosophy : “ There is no such thing as society…” Former breadwinners were condemned to subsist on “invalidity benefit” in a cynical ploy to disguise the extent of unemployment. In the name of social mobility , the “right to buy” was introduced for sitting tenants of council houses at generous discounts , but councils were given no relief on any outstanding debt on such houses , thus reducing choice for those whose social mobility hopes comprised of getting a council house tenancy in the first place . Thatcher cut away Housing Revenue Support Grant , causing rents to rise, repairs to reduce and new-build to taper off. Professor Grieve’s independent report of 1983 of his inquiry into municipal housing in Glasgow highlighted its unsustainability and laid the blame at the Government’s door , to no avail. Social mobility was also the pretext for Thatcher’s “Parent’s Charter”, which enabled placing requests to be made for school pupils to attend schools outside their local catchment area. The effect was to undermine one of the strengths of Comprehensive Education ; the social mix whereby a doctor’s son say, or a Police Inspector’s daughter , were schooled alongside working class children. Labour local authorities tried to mitigate the economic and social damage , which was untrammelled after the defeat of the 1984/85 Miners’ Strike . Glasgow’s councillors devised a regeneration strategy and stuck to it through thick and thin , but the scale of the challenge was enormous and it remains substantial to this day. Thatcher had no compunction in abolishing local authorities which resisted her policies , such as the GLC and the English Metropolitan Councils in 1985. Her successor, John Major, abolished Strathclyde Regional Council in 1996 , removing some £50 Million of social expenditure from Glasgow overnight. Major also privatised the railways , but he did it in such a way that public subsidy required for the likes of Glasgow’s suburban rail network , (the largest in the UK outside London) doubled overnight. Labour’s very welcome victory in the UK General Election of 1997 seemed like the end for Thatcherism (Thatcher herself having been deposed by her own colleagues in 1990). After a two year hiatus while Labour Chancellor Gordon Brown examined the Government’s books , the Thatcherite shackles were removed from public expenditure for the first time in a generation. In a historic piece of socialist redistribution, Gordon Brown transferred Glasgow’s near-£1 Billion Municipal Housing Debt to the UK Treasury, clearing the way for Glasgow’s main social landlord, funded by rents and by Scottish Government grants , to embark on a ten year, £1.1 billion housing regeneration programme. Glasgow City Council’s other regeneration measures bore some fruit, and there was a substantial increase in jobs in the city, up to 2008 . The recession since 2008 notwithstanding , it can be argued that Holyrood could and should do more for Glasgow, given what Glasgow’s resilience does for Scotland. But the city and the country face a more urgent problem ; resurgent Thatcherism. To many neighbourhoods , Thatcherism brought material poverty , a sense of isolation and insidiously , a poverty of aspiration. Poverty of aspiration is now referred to by proto-Thatcherites like George Osborne (and by others who ought to know better) as “welfare dependency”. But what else do they expect from neighbourhoods from which the “aspirant” ones have long since fled to where the ex-council houses and the “magnet” schools are better ? Impoverished, isolated and betrayed, Thatcher’s “children” and “grandchildren” are under fresh attack from Thatcher-style measures like the “bedroom tax” and other aspects of so-called welfare reform. As if all that were not enough , Osborne defames the poor as potential child-killers; sounds like diminishing and demeaning hatred to me. In no context should we give the impression that we are “better together” with such people. Our city and our country simply can’t afford any more Thatcherite damage . Many of us thought, wrongly it appears, that devolution ensured no such repetition. 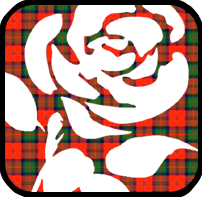 Labour isn’t in power at Wesminster or Holyrood and Labour local authorities are limited in their powers. But being out of power doesn’t mean Labour can’t try to seize the initiative…if it wants to. Even if you don’t see the present political situation in terms of crises demanding urgent responses, who can deny that many people look for Labour’s responses, not just on Scotland’s constitution, but on jobs, housing, welfare and so on. However , prevailing orthodoxy may be for Labour to keep its powder dry on most issues until nearer the dates of the referendum and election contests over the next three years. But the nightmare that was Thatcher and is Thatcherism will only fade if we can implement a better vision , such as a society in which everyone has the means to develop to their full potential. Charlie Gordon has lived and worked in Glasgow all of his life. He became politically active in 1969 , was an active trade unionist on the railways for 18 years and was President of the Glasgow Trades Council from 1985 to 1990. He entered local government in 1987 and over the next 18 years he held a number of senior posts, including Chair of Strathclyde Passenger Transport Authority and Leader of Glasgow City Council. Charlie was the Labour MSP for Glasgow Cathcart from 2005 to 2011. During his time at Holyrood , he served as Convenor of the Public Audit Committee and was a Labour spokesperson on transport. He is now self-employed. Today the world seems just a liitle bit better than yesterday. What did Margaret Thatcher call her greatest achievement? I never believed a word she said.